Businesses and state/local governments: You know that wireless technologies and applications can provide the results you’re looking for, but which vendors and solutions are right for your unique needs? 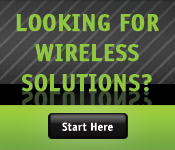 Turn to a trusted source: the Enterprise Wireless Solutions Center® from EWA. Cevo Go - Certified Frequencies... Today! Need a new license, new location, new frequency or mobile only? Use Cevo Go™ to secure certified frequencies today! Available for Apple and Android devices as well as on your computer.